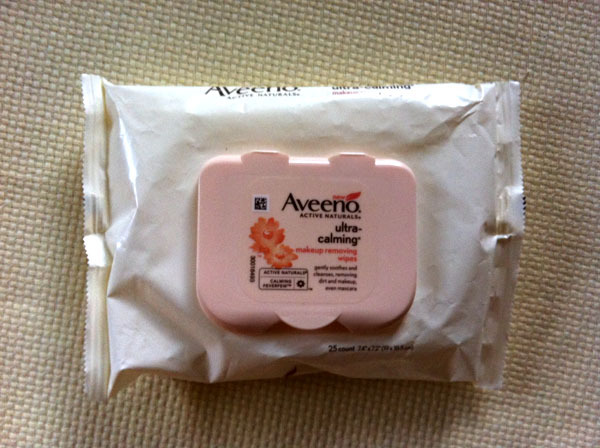 A few weeks ago I got a pack of Aveeno Ultra-Calming Makeup Removing Wipes. I am really particular about facial cleansers. Most leave my face super dry and tight feeling. I was willing to give these a try though. I was pleasantly surprised. They don't have an overwhelming scent and they don't leave any weird greasy feeling behind. The best thing is they didn't dry out my skin. They are super handy for traveling. These would be a must have for camping! I have to say these are now part of my skin care routine. YAY! I didn't have enough Klout to try these. I use Oil of Olay's Wet Cleansing Cloths for a while now and love them. Will have to try the Aveeno ones to change things up! I have great luck with Aveeno products. Their baby lotions and sunscreens never irritate the kids' skin, and aren't overly scented. The Daily Moisturizing Lotion is next to my bedside, can't live without it!